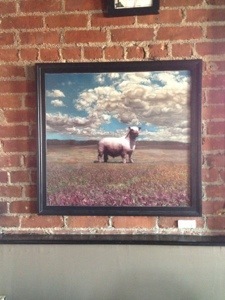 Local artist Brendan Killian has a permanent Sheep exhibition on show at The Haven. All of them are for sale and interest has been mounting since the turn of the year with bids from as far as England and California coming in. We set the end of January for the sale of ‘Faith’ and the highest bidder was Jenny Boyd from Knoxville. Congratulations and a fond farewell to ‘Faith’, a beautiful piece of artwork.